Leased - Rancho Cucamonga - 9,500 Sq. Ft. - News - Resources - Allied Commercial Real Estate, Inc. Leased - Rancho Cucamonga - 9,500 Sq. Ft.
Allied Commercial Real Estate successfully represented the tenant in a 5 Yr lease of a 9,500 sq. 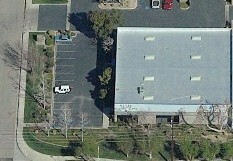 ft. Industrial building located in the City of Rancho Cucamonga. After the client tried working with another well known brokerage company unsuccessfully we were contacted to help the client relocated their business. We were able to show them a current list of over 10 available buildings located throughout the Inland Empire that met their requirements. After narrowing the list down to three possibilities we tour the spaces and submitted offers on their behalf. We were able to get a secure a below market lease rate and multiple months of free rent. If you would like to know more about the transaction or speak with a qualified Commercial Real Estate agent please contact our office.